'British Isles' Quilt by Ekta Kaul, ivory silk-blend large textile quilt with an embroidered map of the British Isles. Hand-stitched in Ekta's Cockpit Arts studio, this one-off textile composition is a work of art. Coastlines and locations have all been painstakingly embroided onto an ecru coloured silk, each evoking memories for Ekta. Her textiles are imbued with character; they speak of exceptional hand craftsmanship, careful attention to detail and a sensitive use of materials and colours. Ekta Kaul is a London based textile designer creating narrative-driven textiles that celebrate the skills and techniques of modern craftsmen. 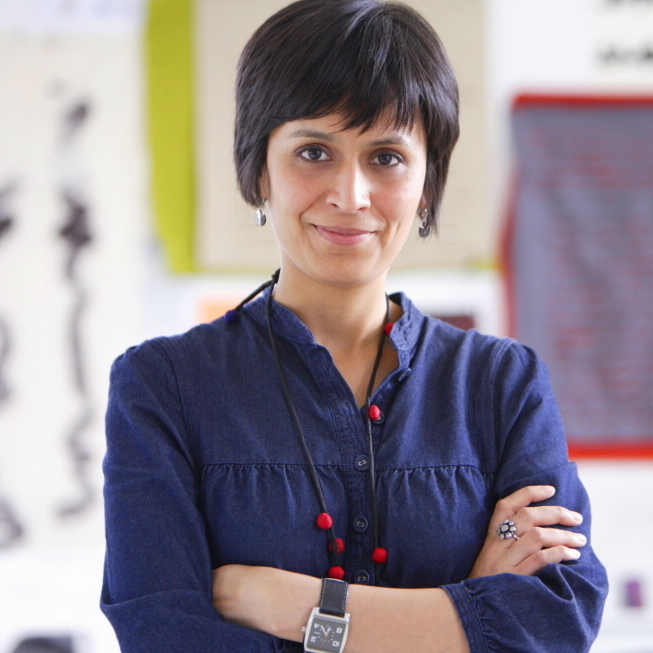 She trained in Fashion at the National Institute of Design (NID, Ahmedabad) in India, where she won the Charles Wallace and British Council scholarships to pursue her Textiles MA in the UK. Ekta Kaul set up her practice in 2008 and currently creates from her London studio, creating textiles imbued with character, minimalist, bold application of colour and sensitive use of materials.